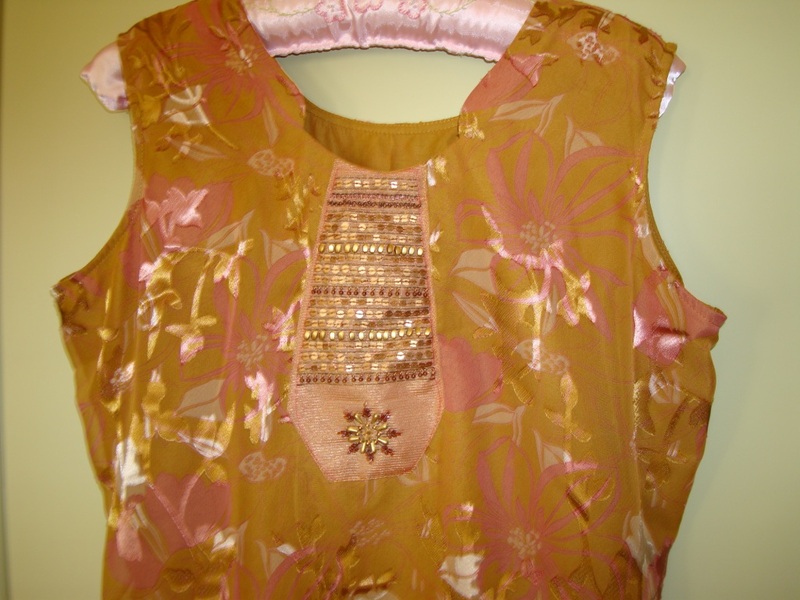 The sequins and beads were used to embellish this light brown yoke, which is placed on the tunic fabric. 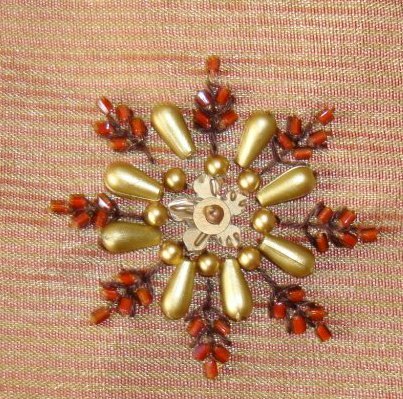 I was not fully satisfied with the result, so I attached a cord with round gold beads around the yoke. 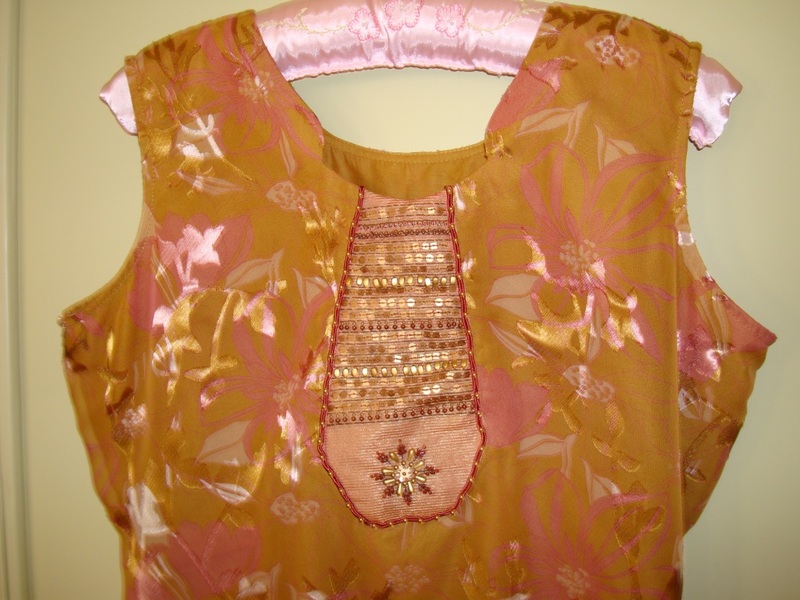 I feel somehow this yoke and tunic combination is not attractive, reasons could be, the yoke fabric did not suit the tunic, or the beads did not enhance the look of the tunic. 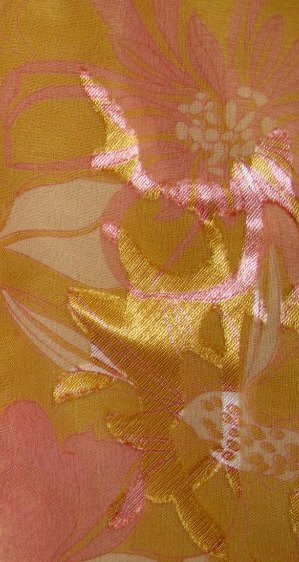 With all these , I have worn the tunic many times. 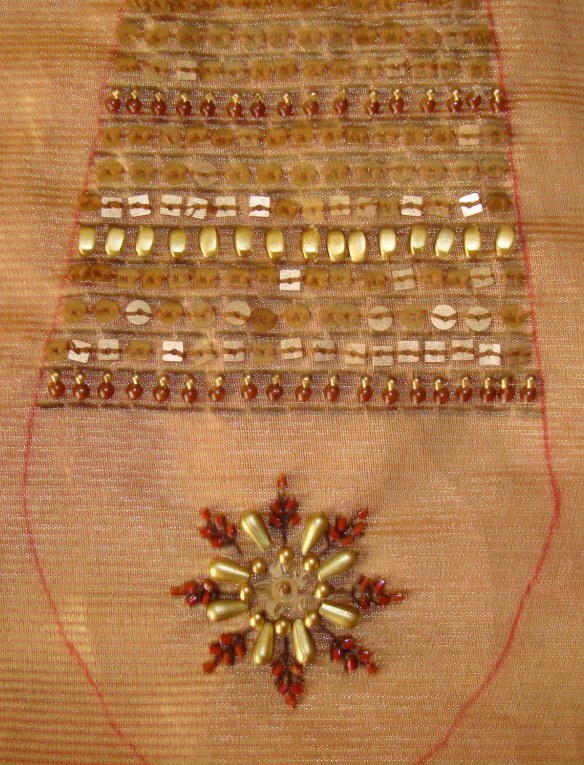 After embroidering on the lines to form borders for beads, first the motif was worked before attaching the beads. 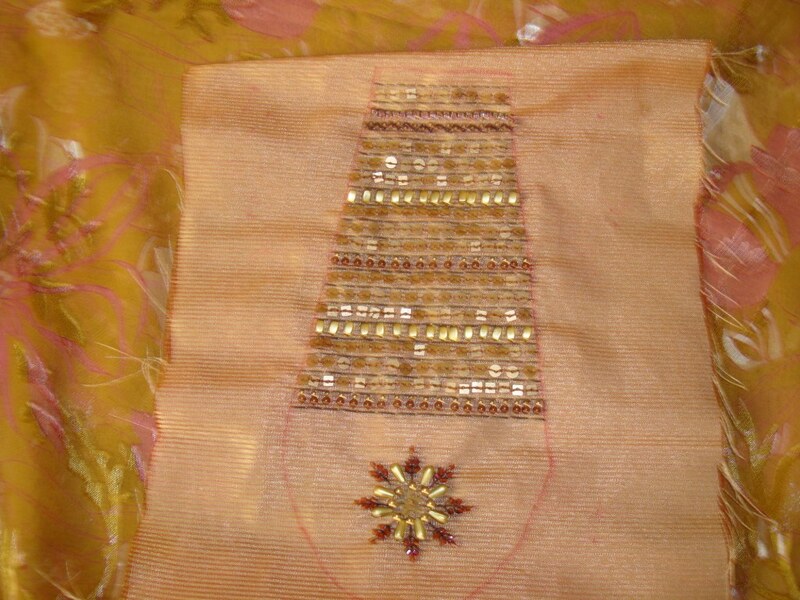 After working medium sized fly stitches around, the centre was done with floral and round beads. 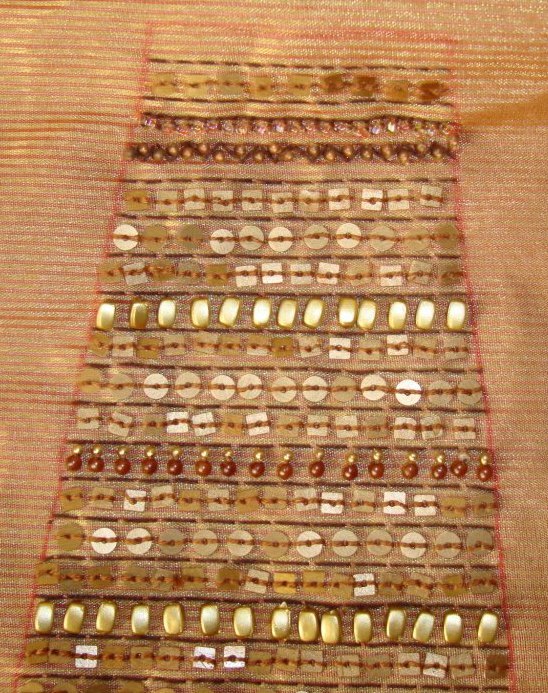 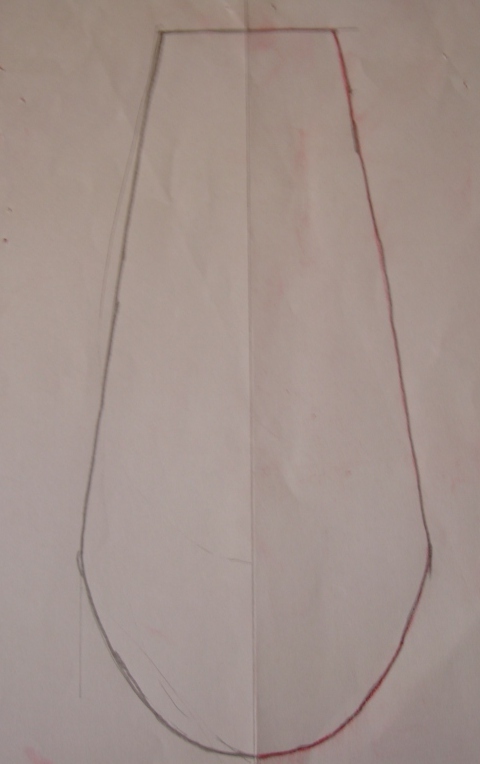 Cone shaped beads and reddish brown beads were worked around the centre. 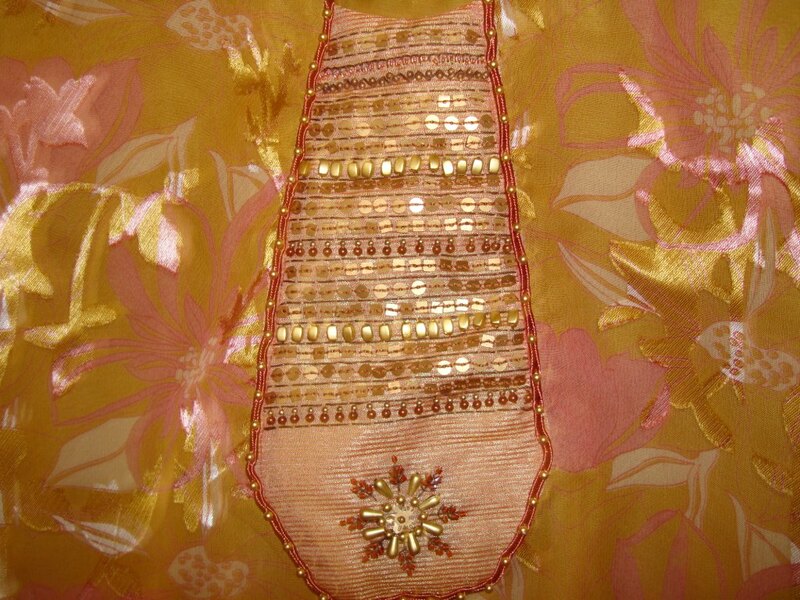 The spaces in between the running stitches were embellished with , gold sequins and beads. 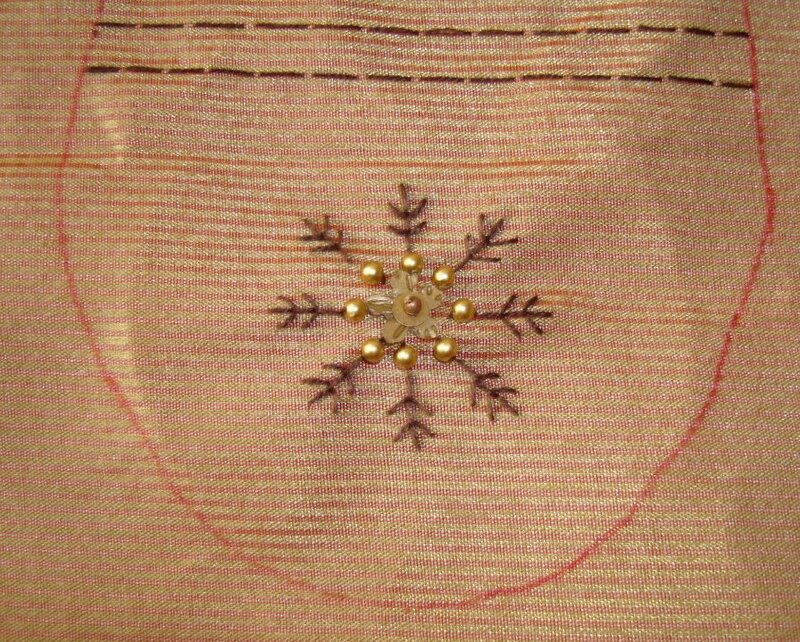 After tracing this yoke on the fabric, with the lines on the fabric, I worked running stitches, back stitch, buttonhole stitch . 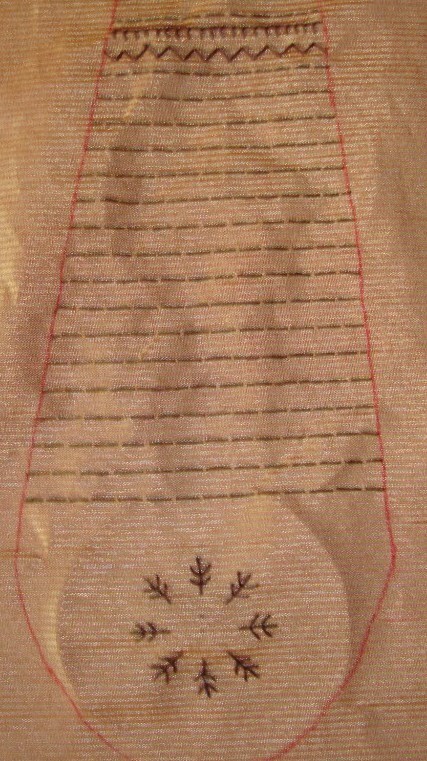 at the end of these lines, a small motif was made.